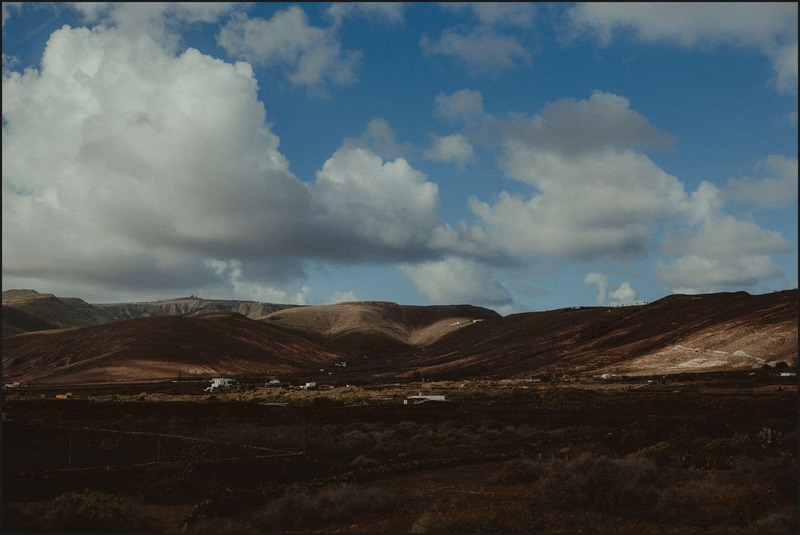 When you experience Lanzarote for the first you can’t help but being totally astonished by the majestic beauty of this land. 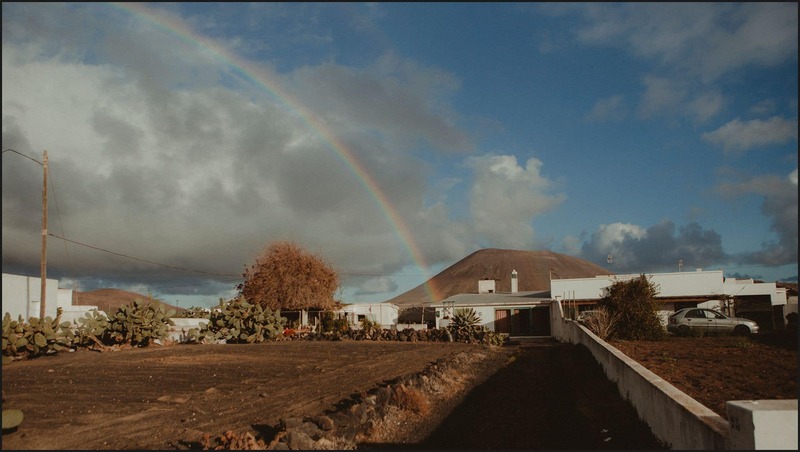 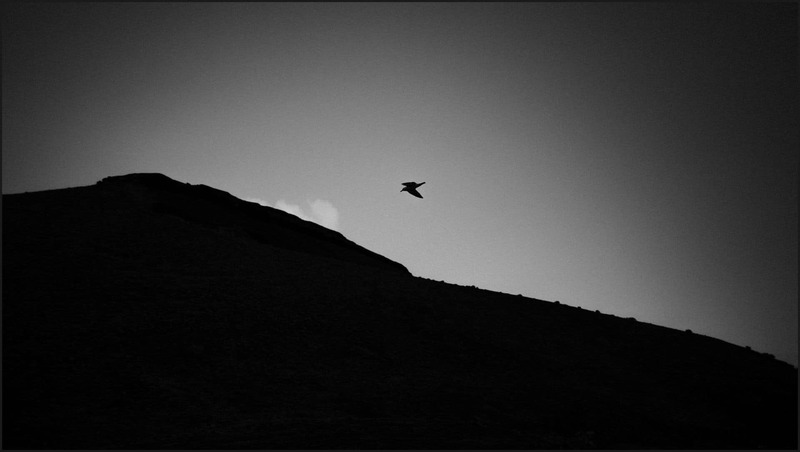 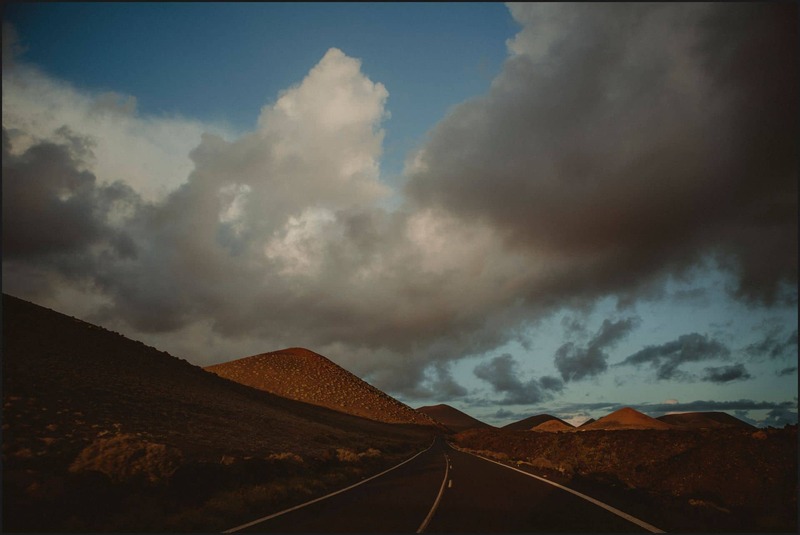 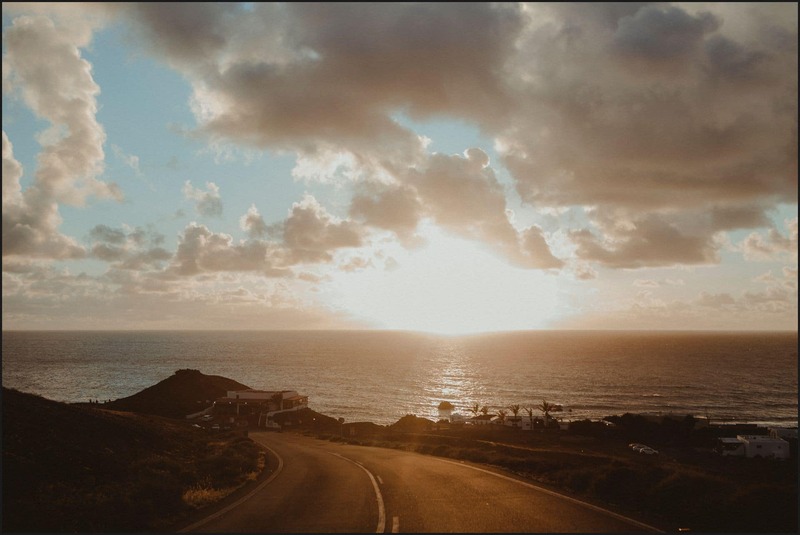 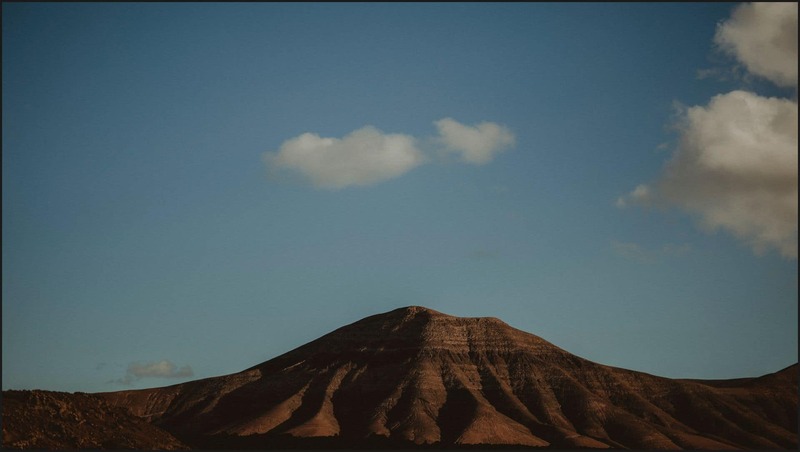 Once you start exploring it, you are surrounded by a feeling of relaxation and peace, there’s something so evocative in Lanzarote that makes you love it at first sight. 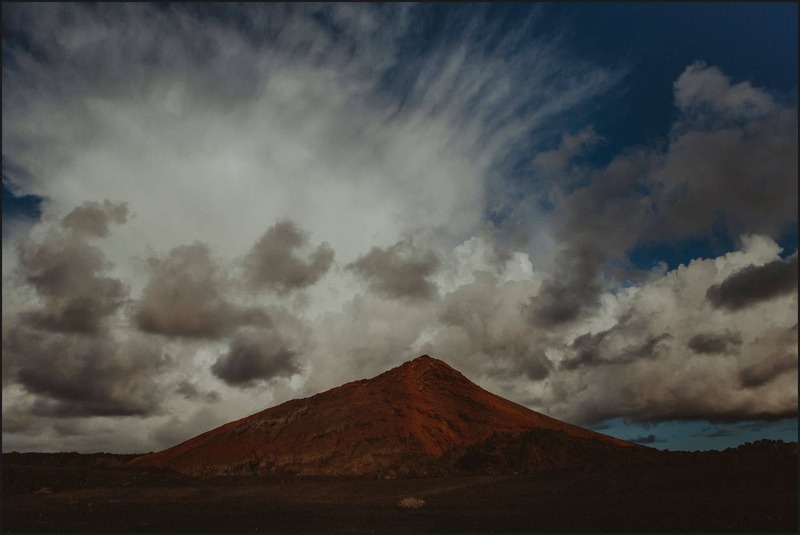 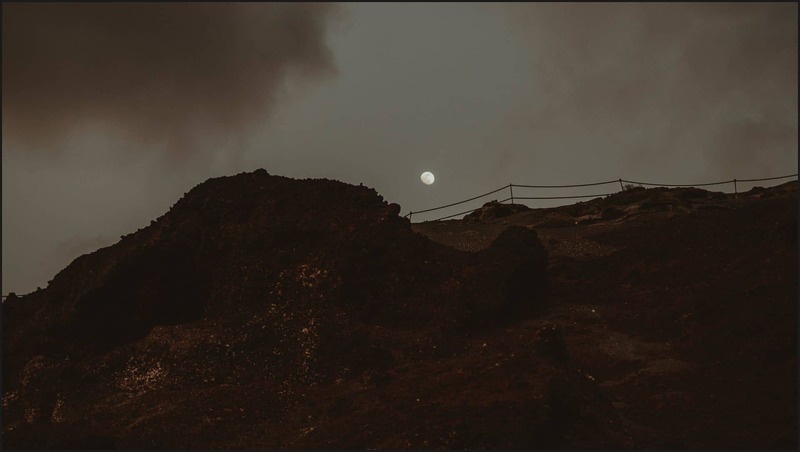 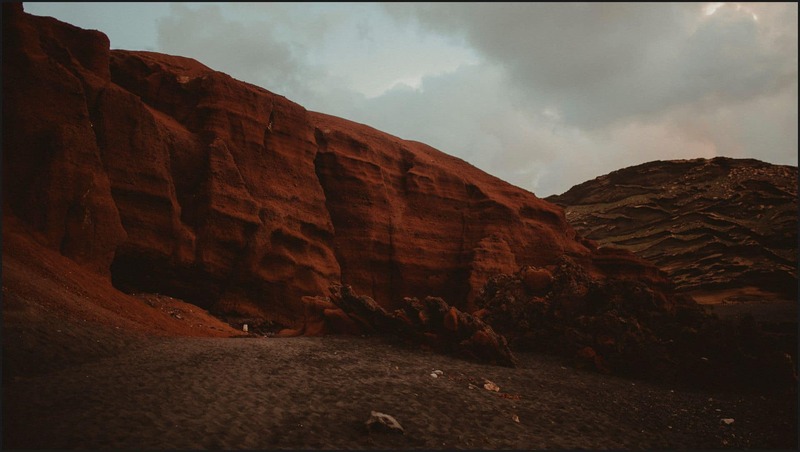 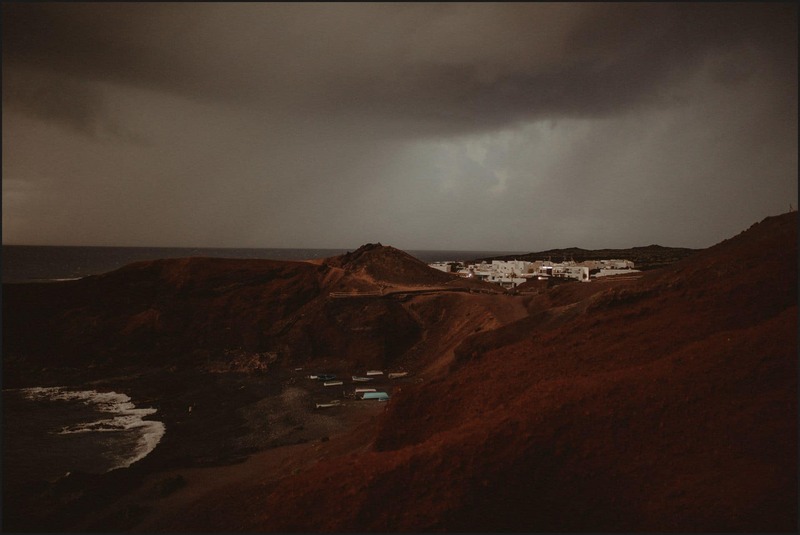 Due to multiple eruptions occurred in 1700, all the island is adorned with extravagant rock formations that range from the blackest black of the Timanfaya National Park to the amazing rust-red tones of El Golfo. 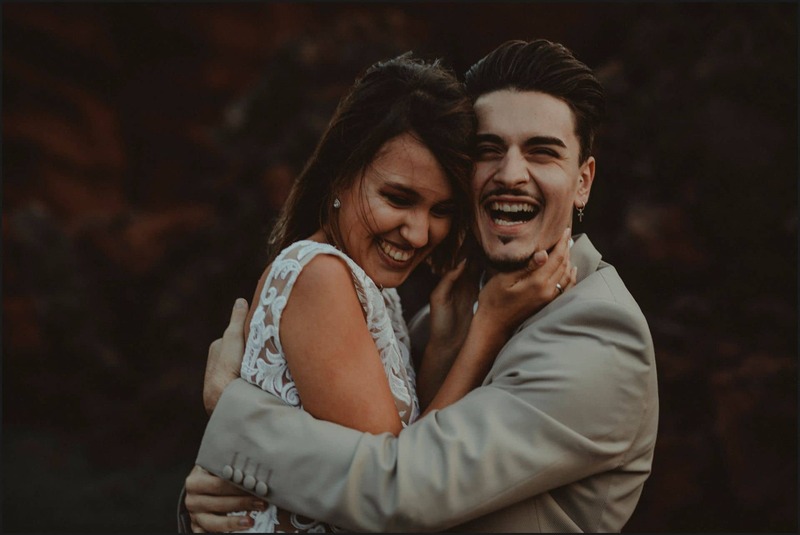 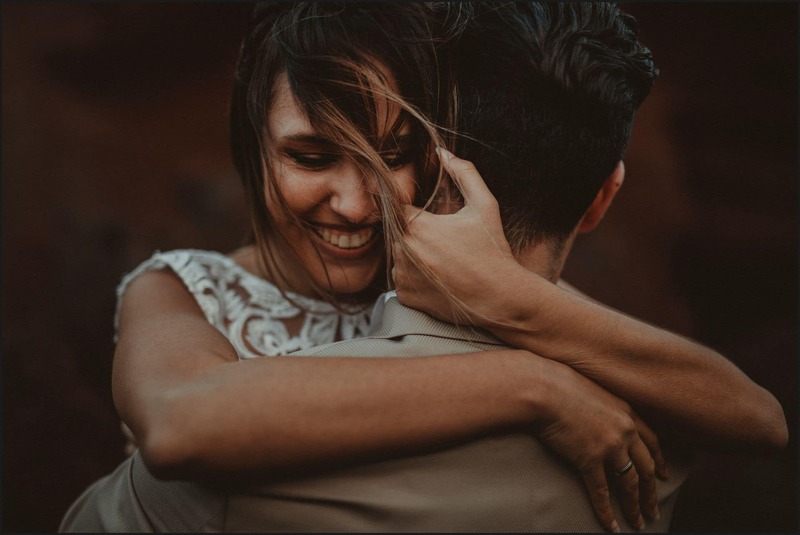 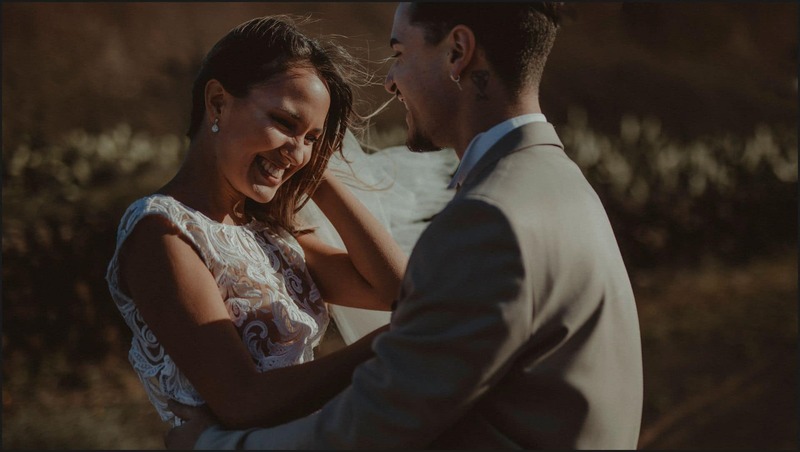 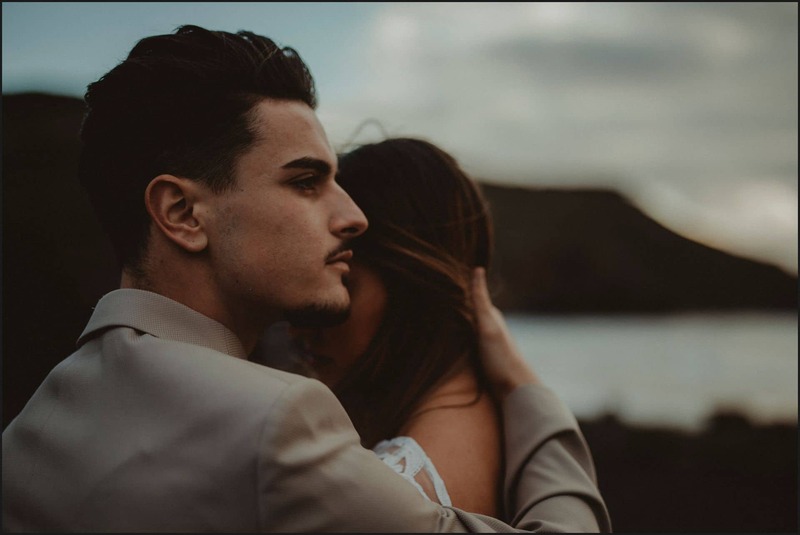 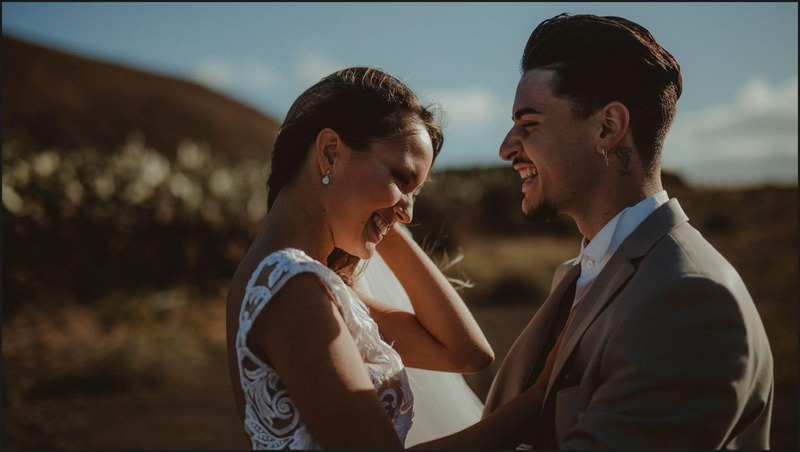 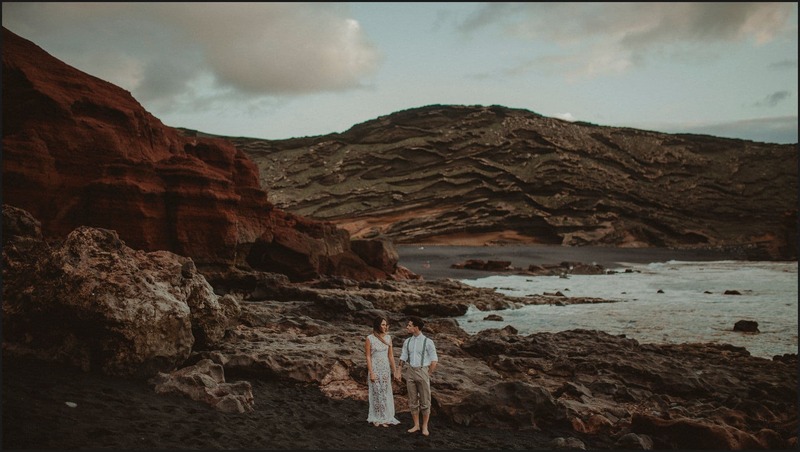 Needless to say that capturing the love of Yadira and Romen, a lovely couple who lives in the island was something truly inspiring to us, their complicity, their smiles, the way they looked each other were so pure and genuine that made our work really easy and simple. 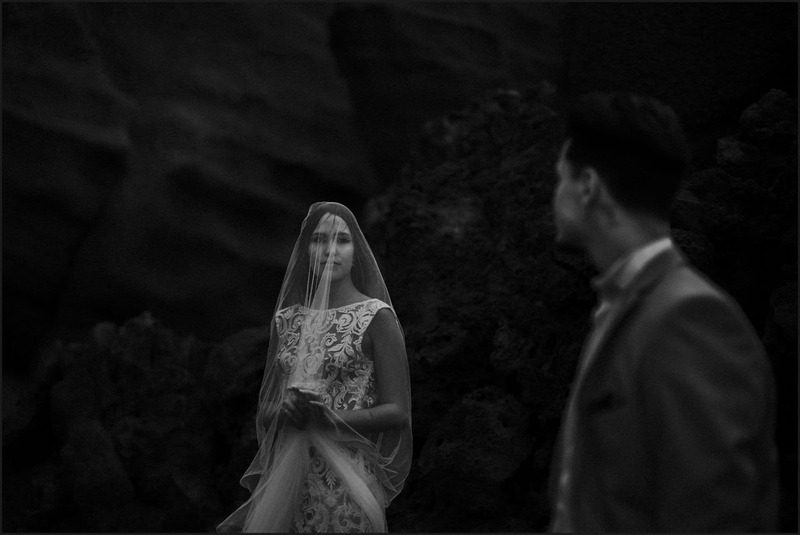 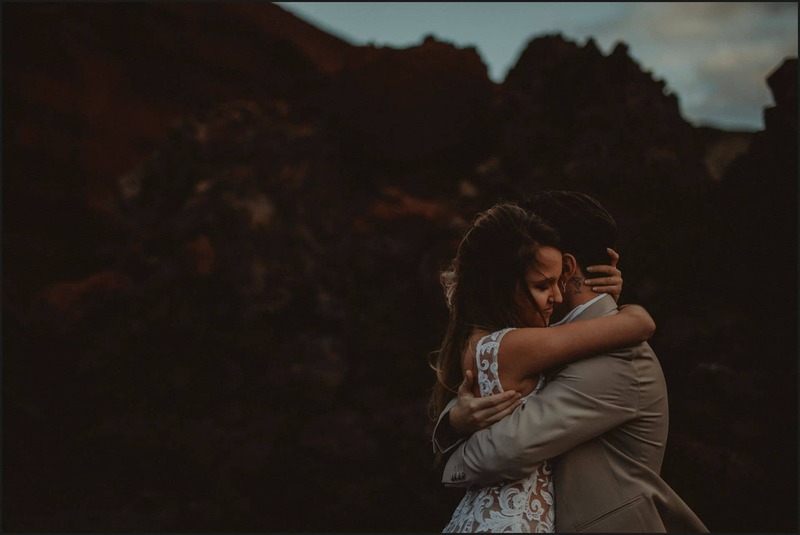 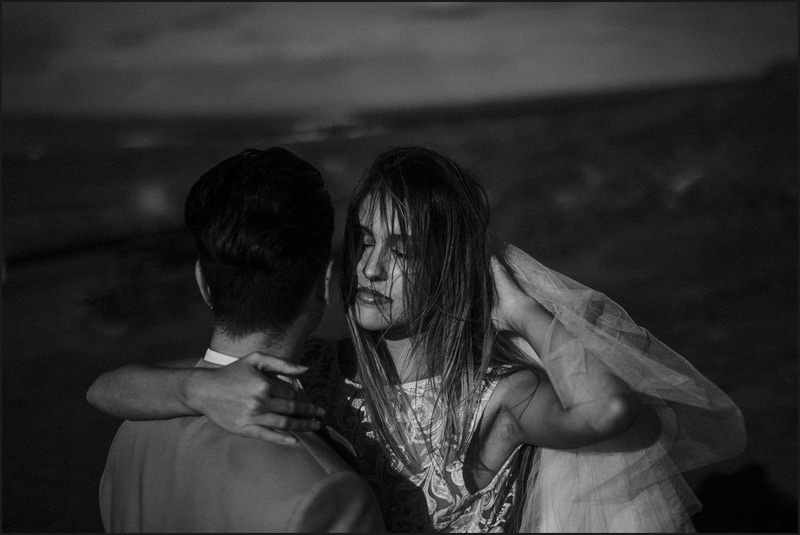 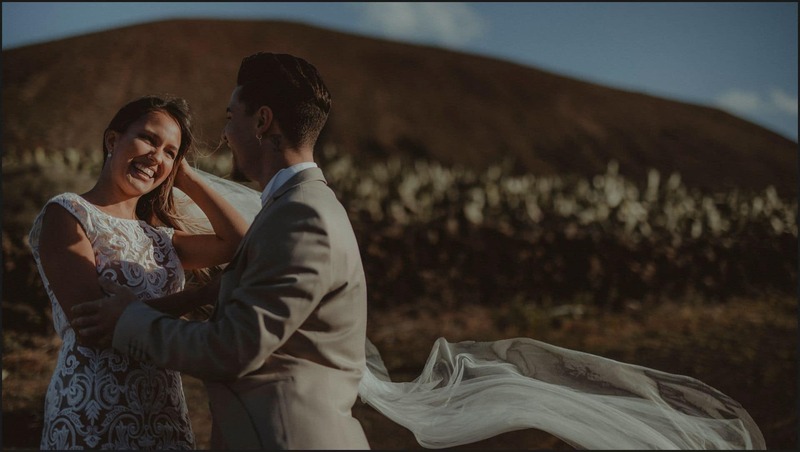 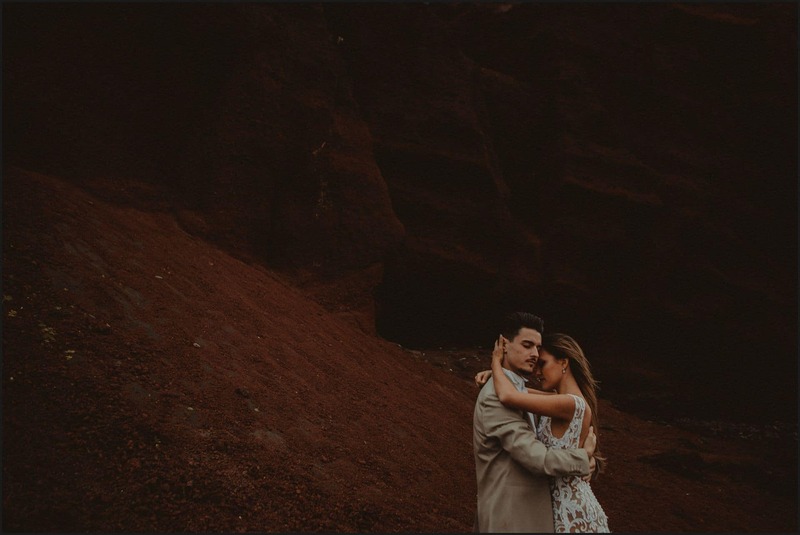 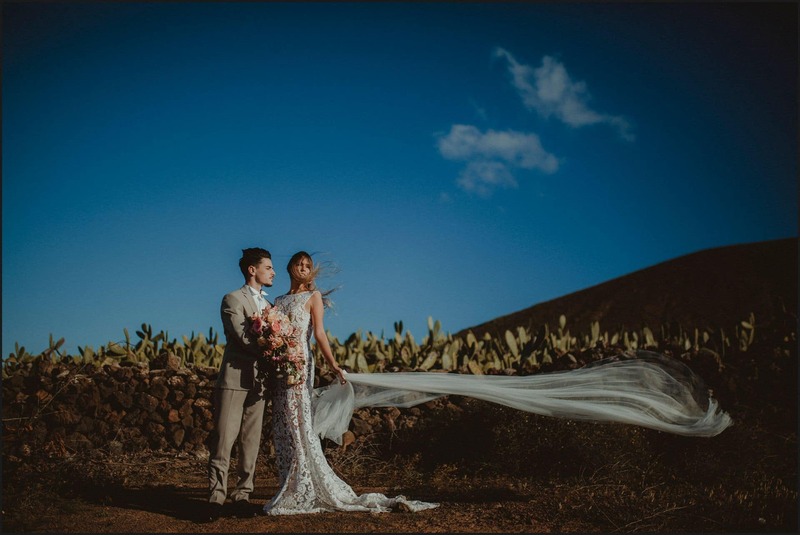 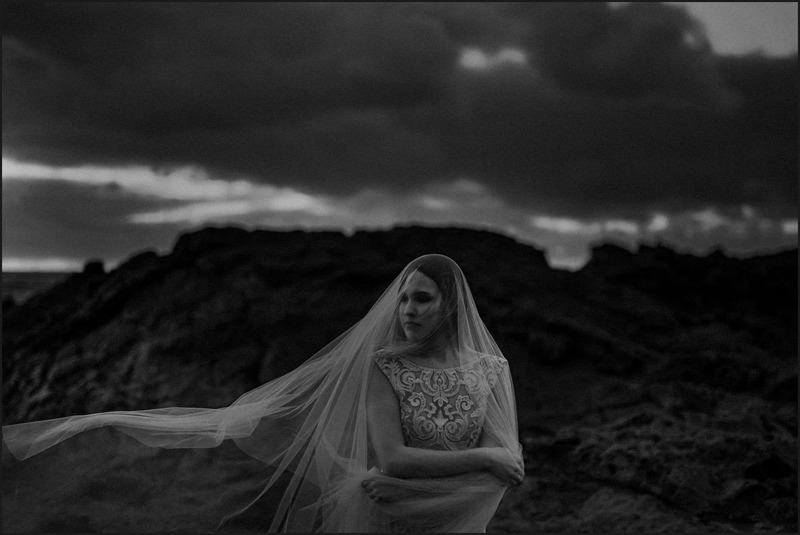 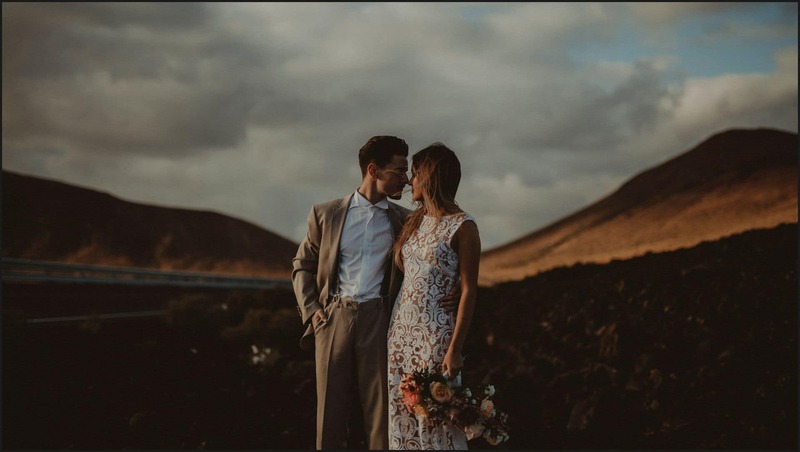 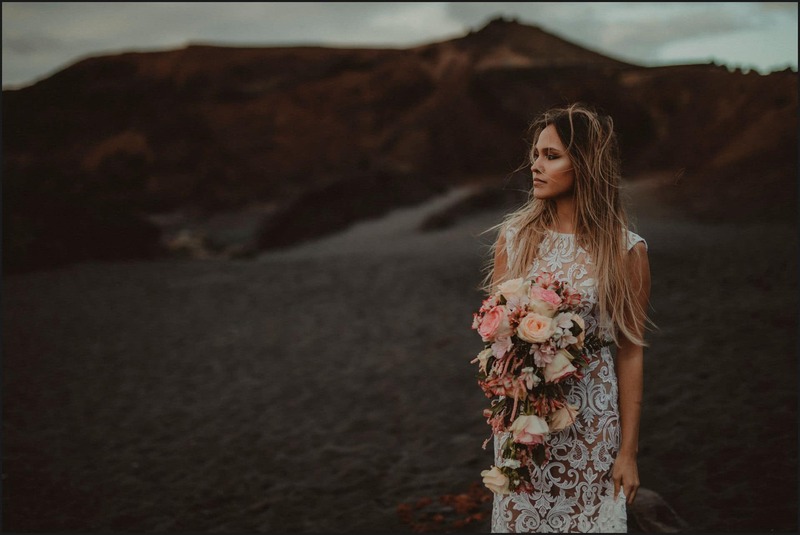 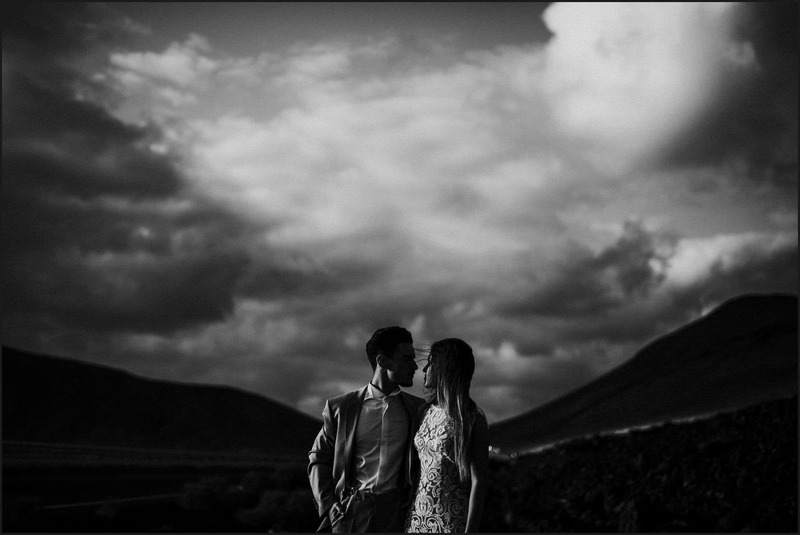 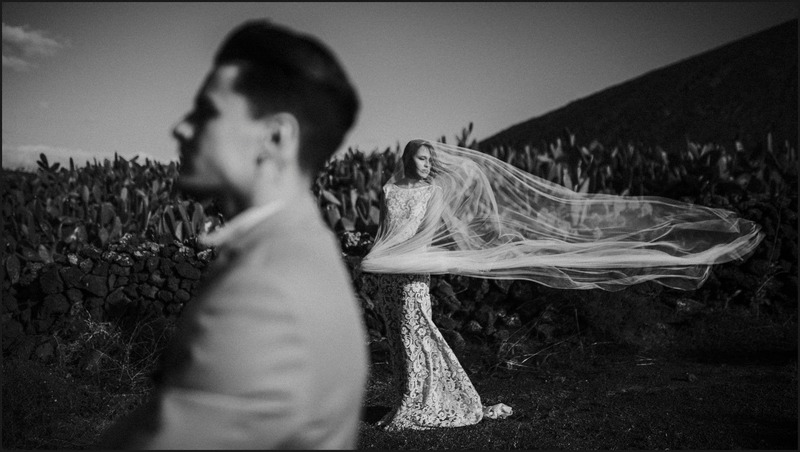 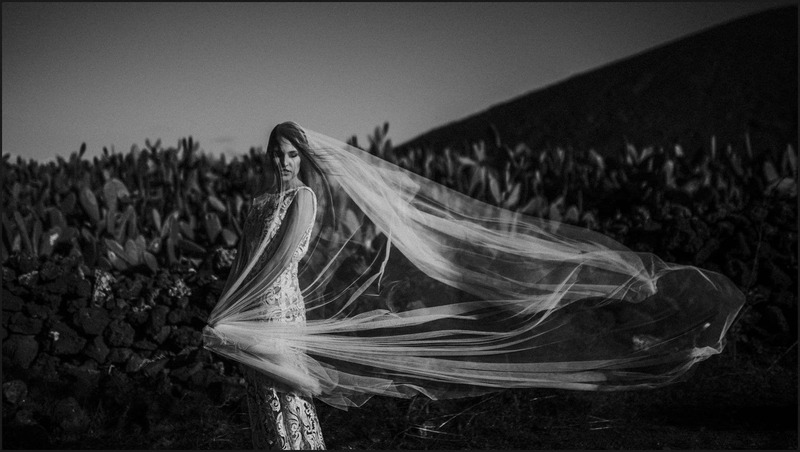 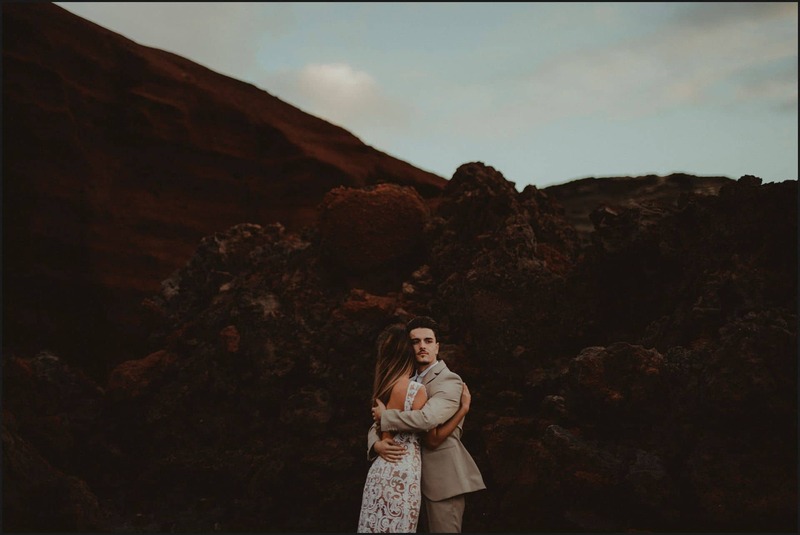 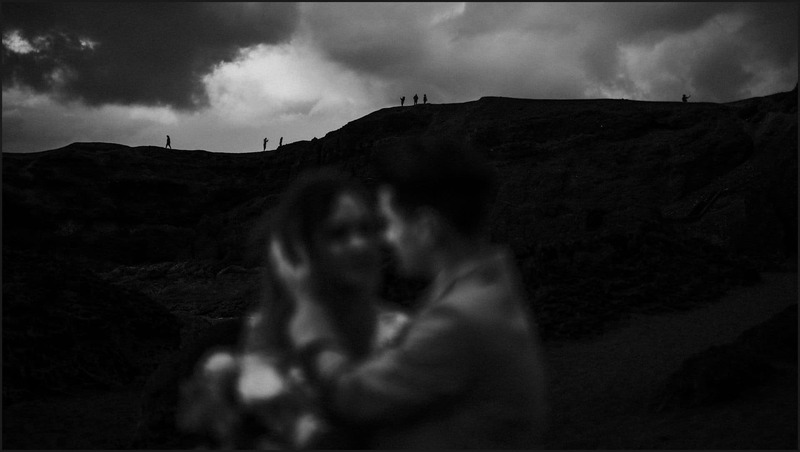 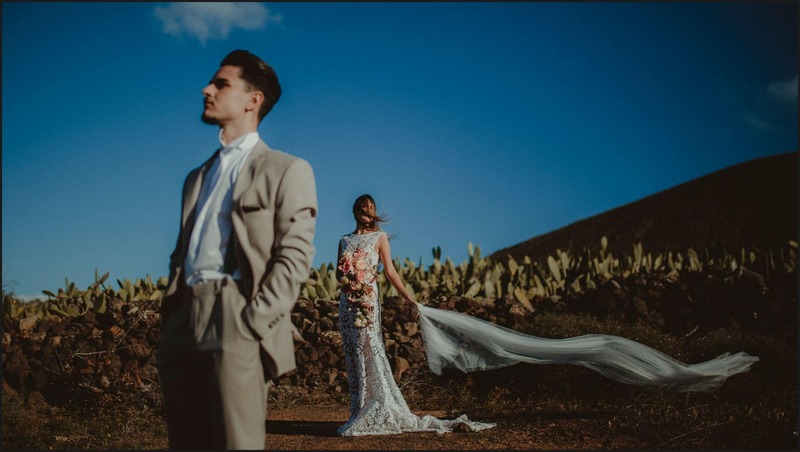 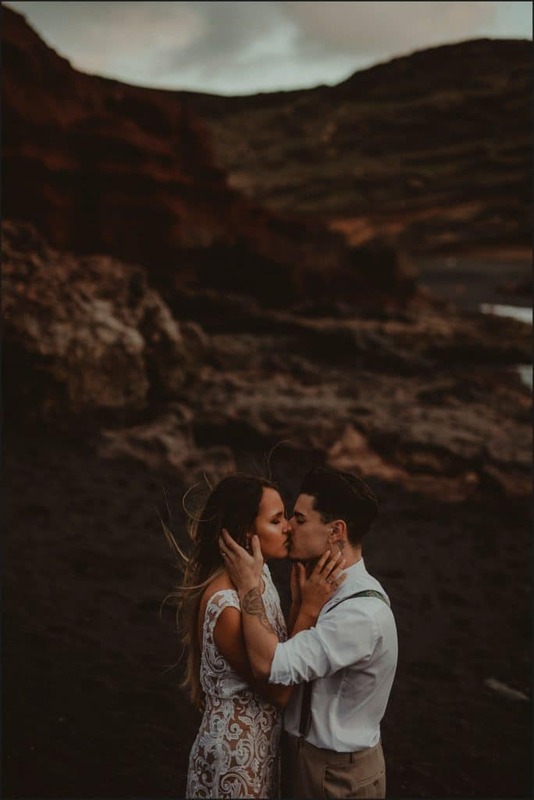 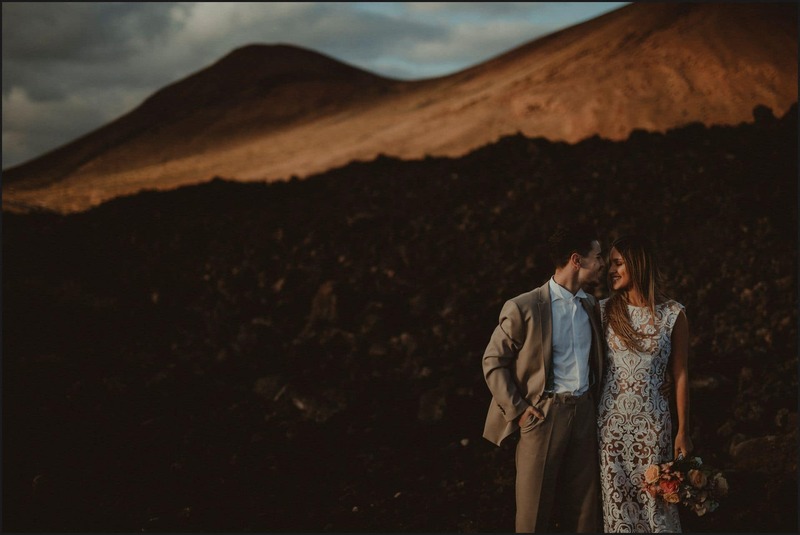 We love intimate elopements in the wild Nature and such a magical place as Lanzarote, with its mysterious, poetic energy is definitely the perfect place for that: a place where you need no particular detail or décor to celebrate your love, who needs more when you and your soulmate can have first look shots in a cactus-filled valley and your ceremony setting is a black sand beach with a breathtaking wind-eroded red cliff behind you? 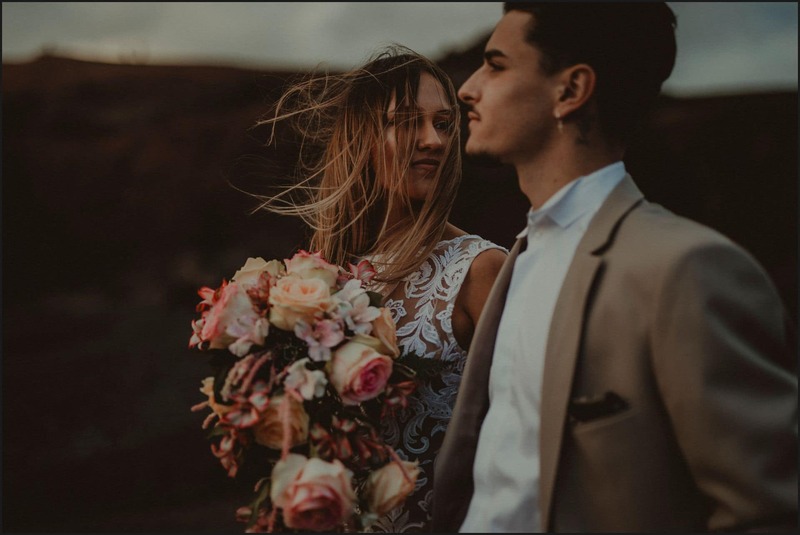 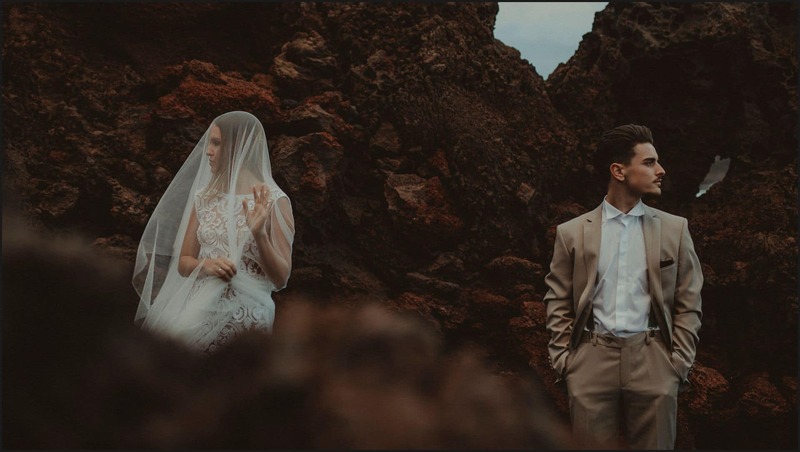 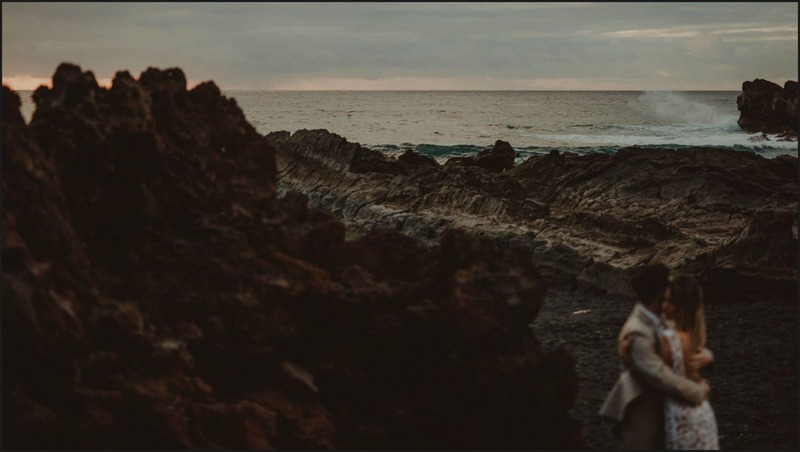 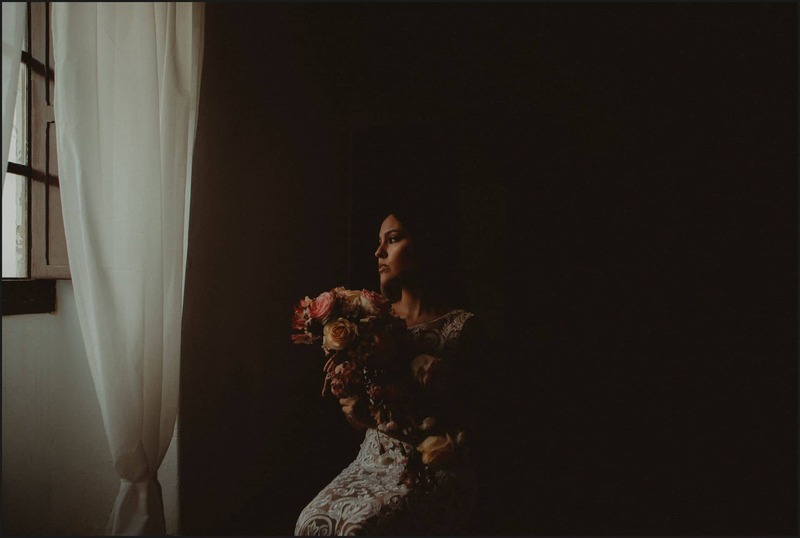 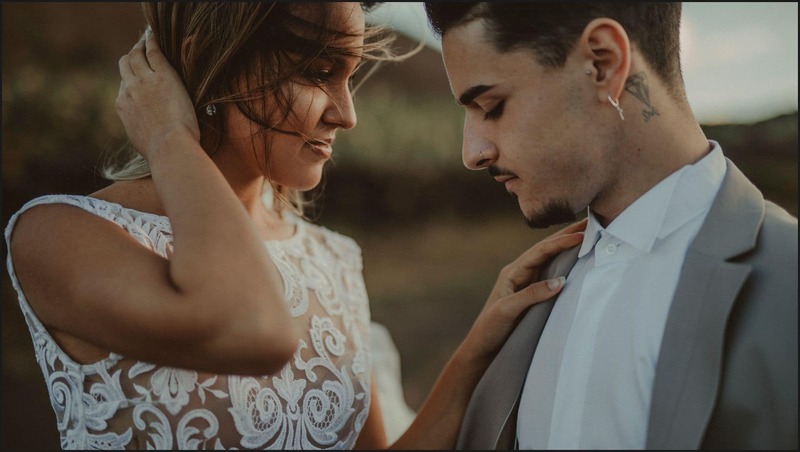 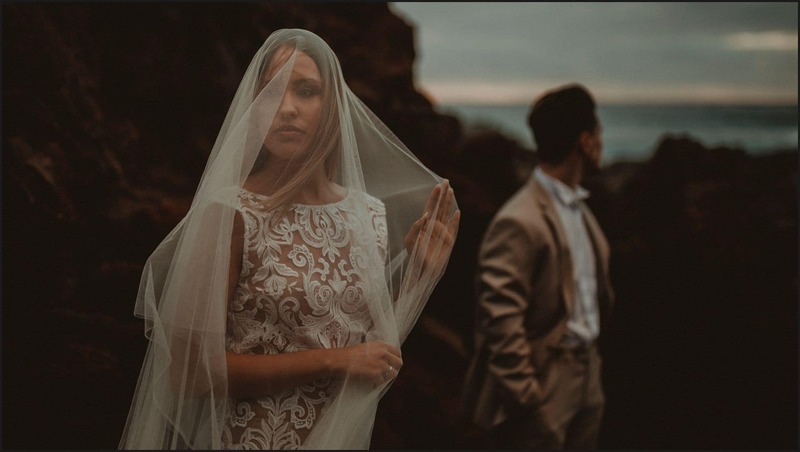 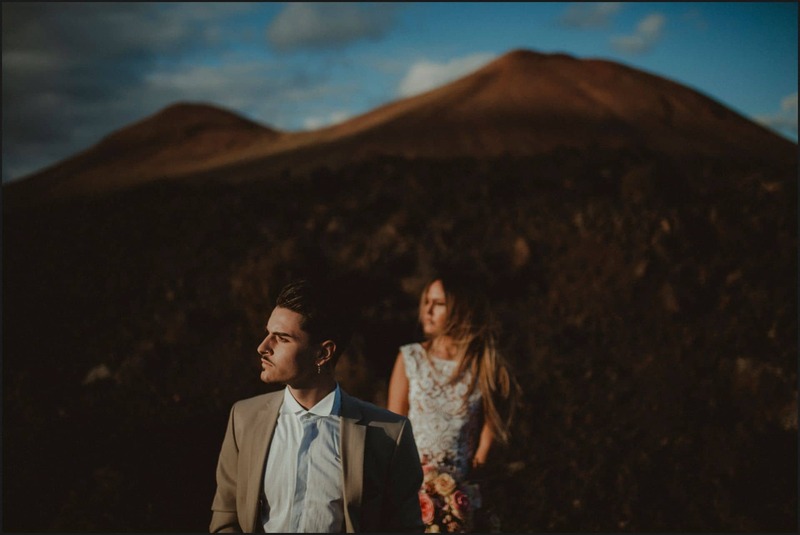 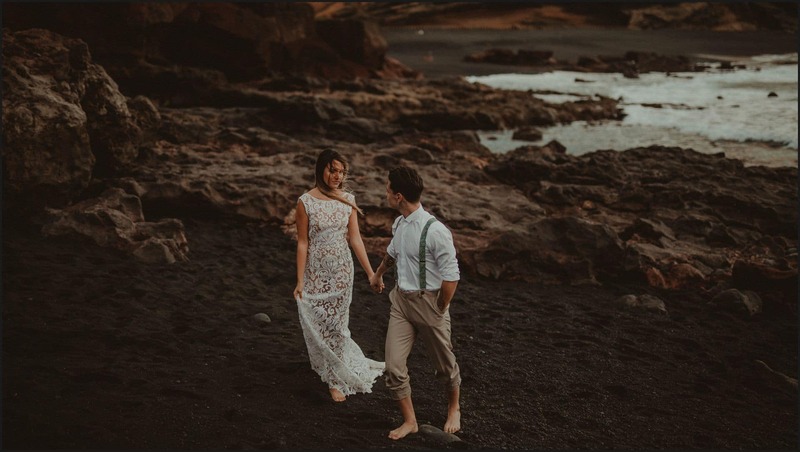 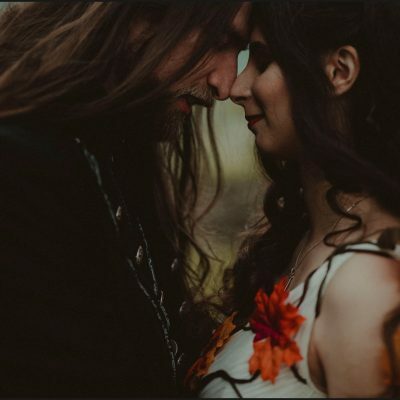 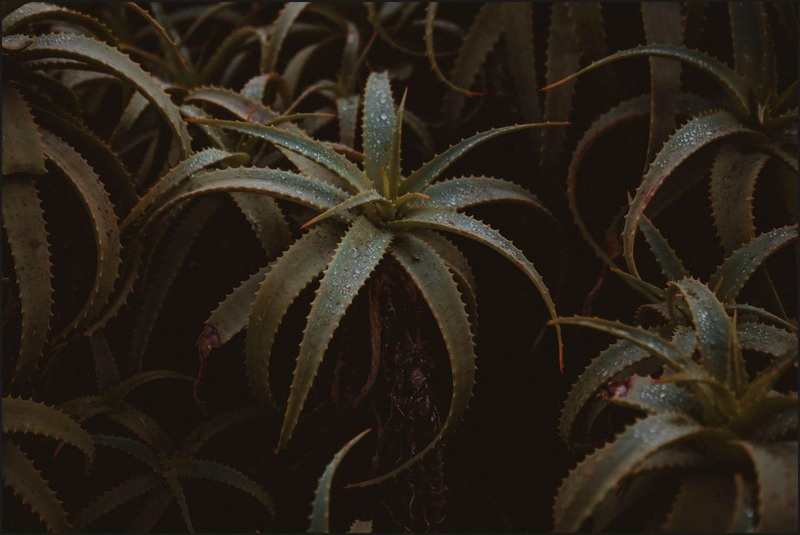 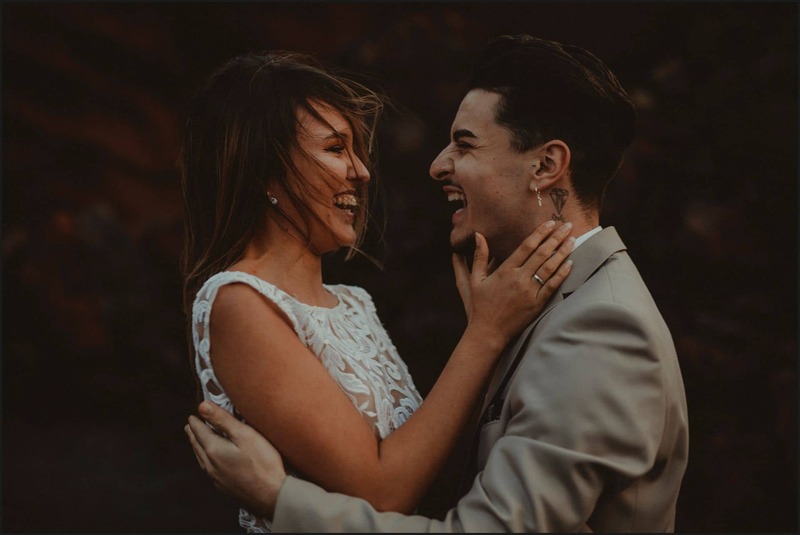 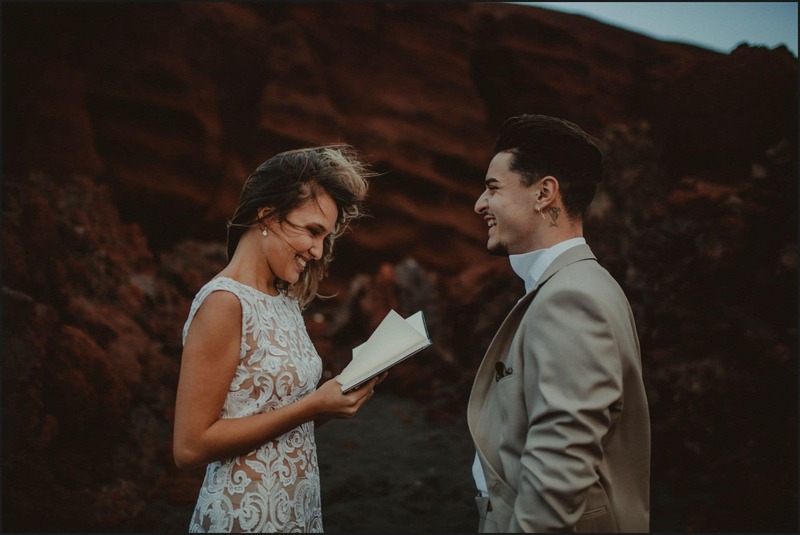 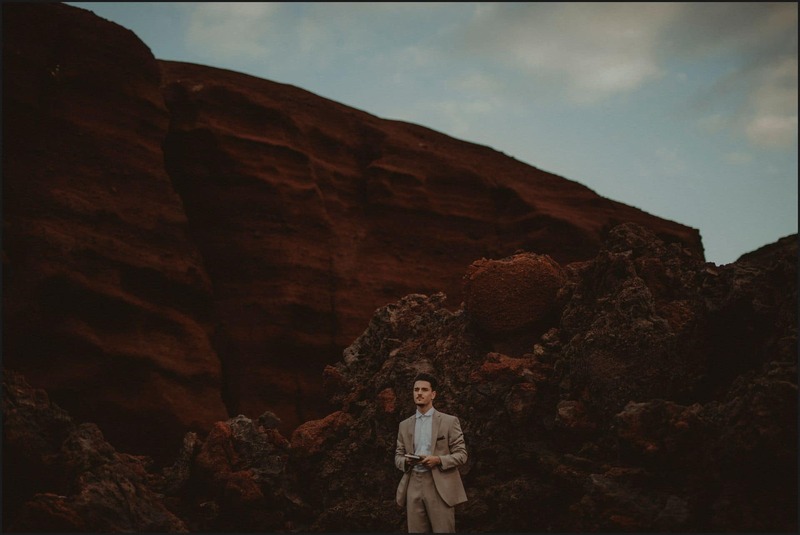 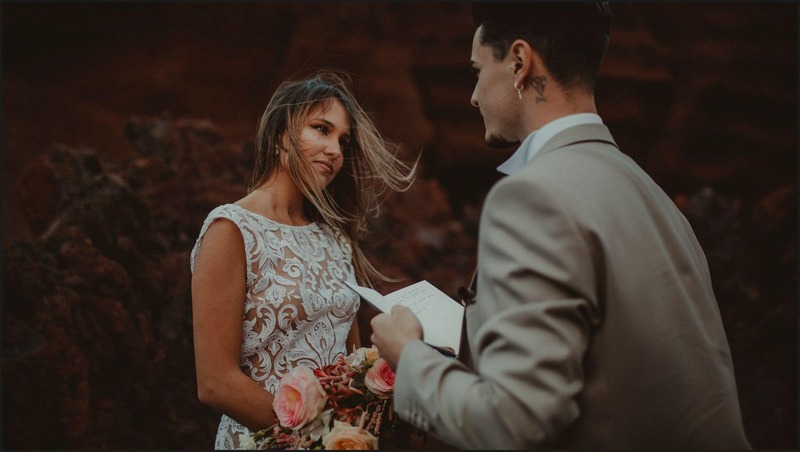 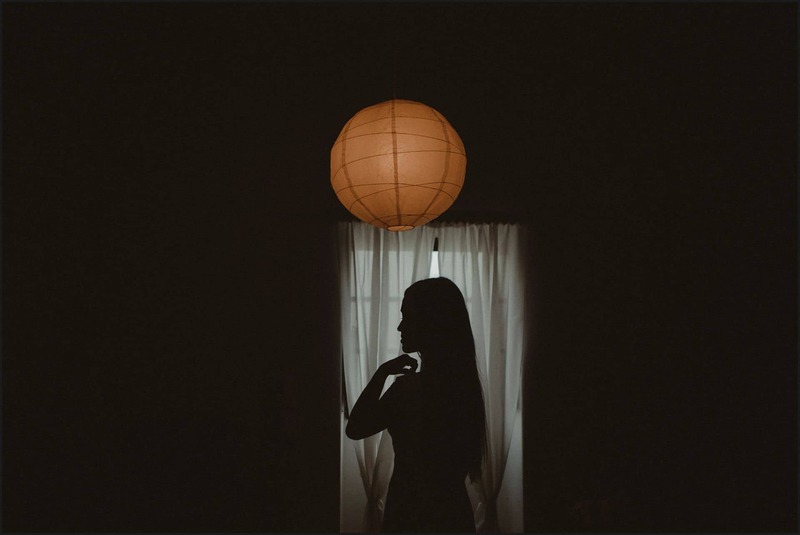 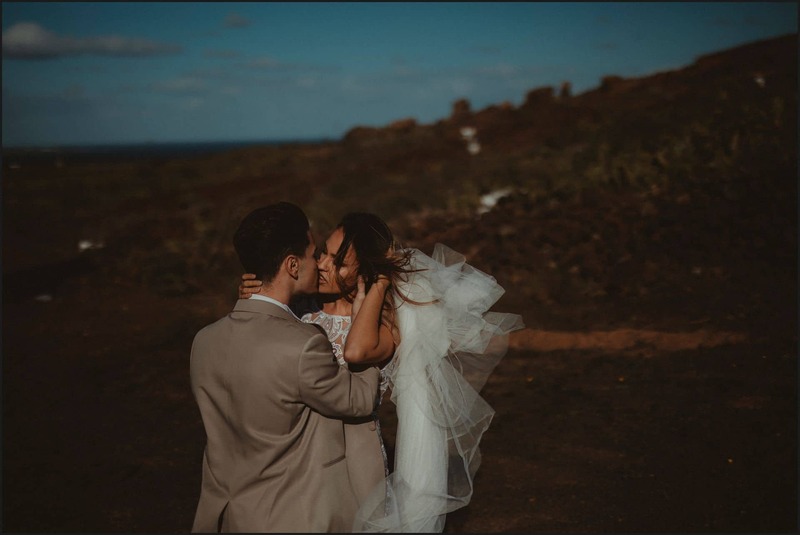 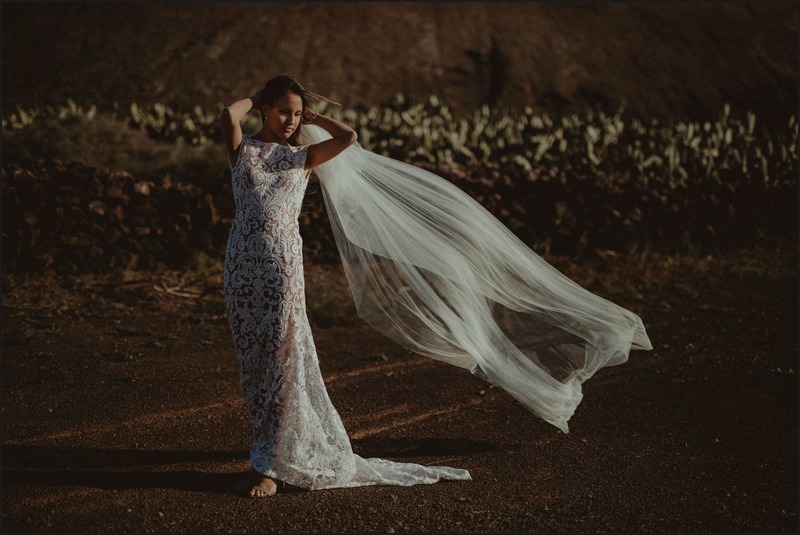 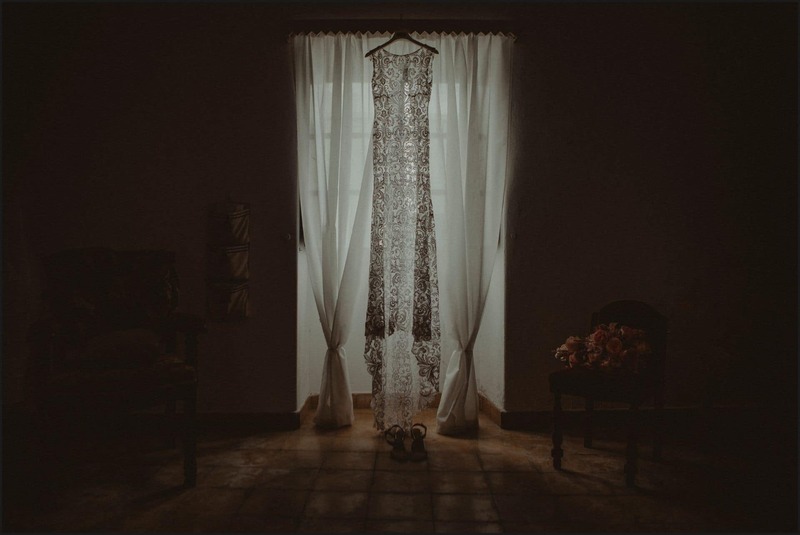 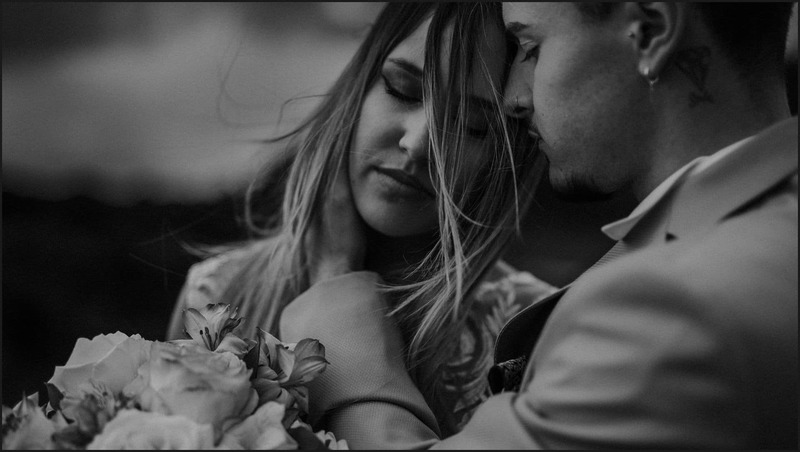 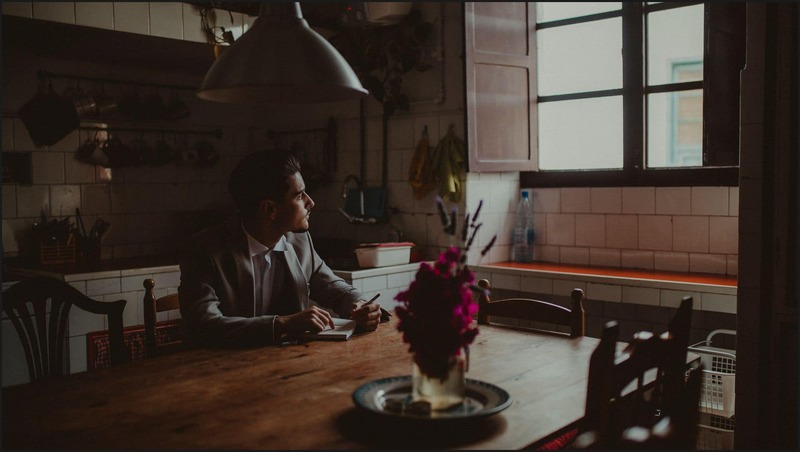 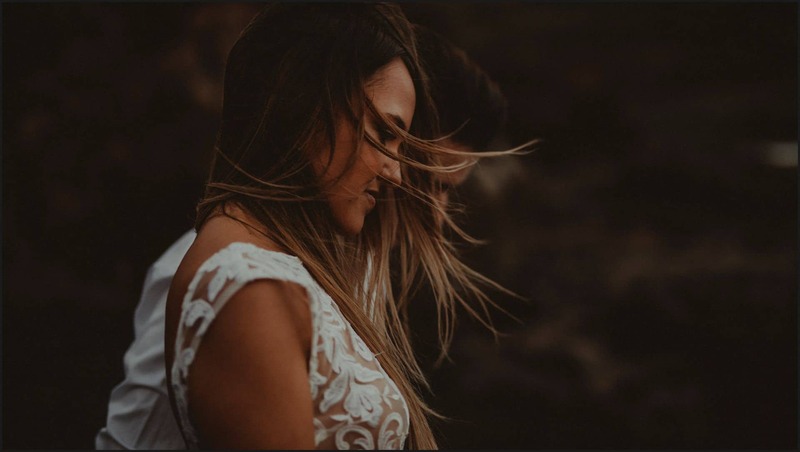 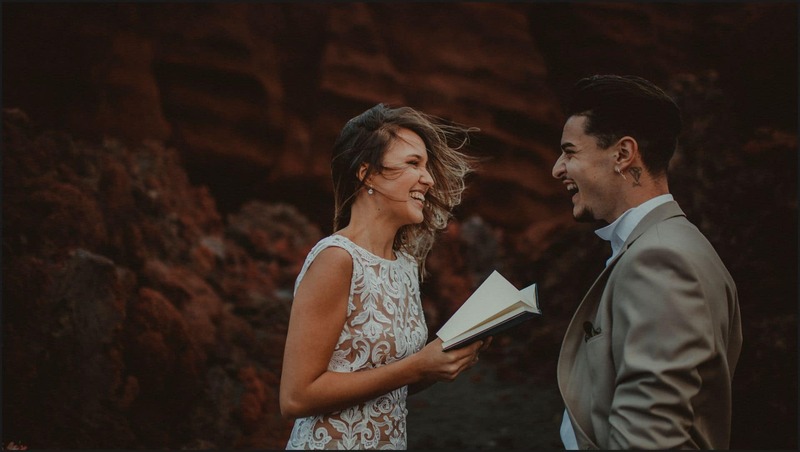 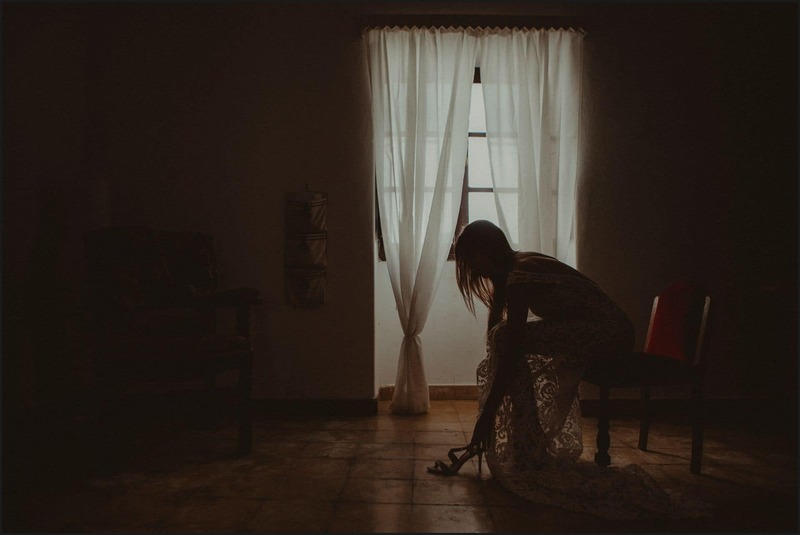 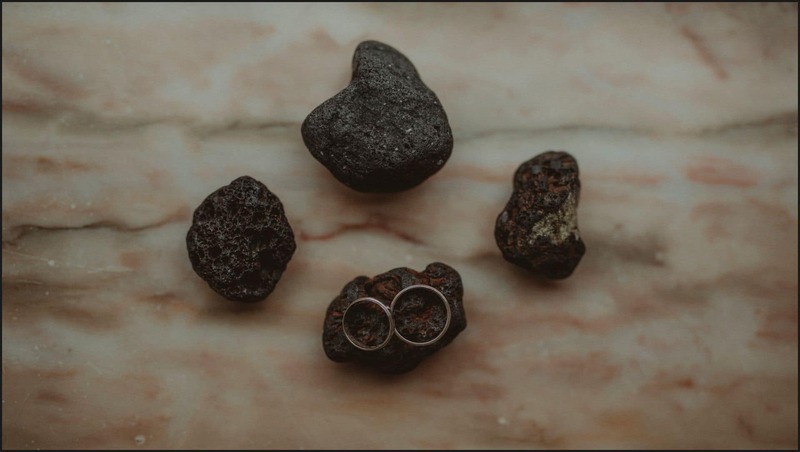 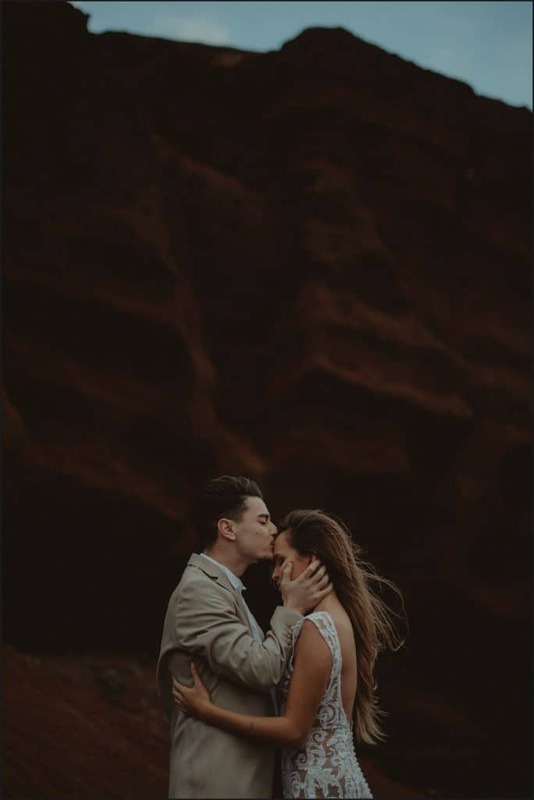 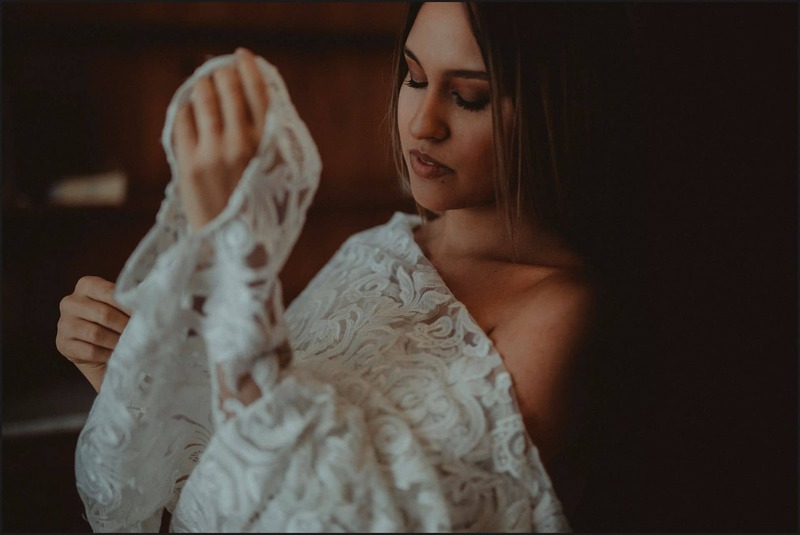 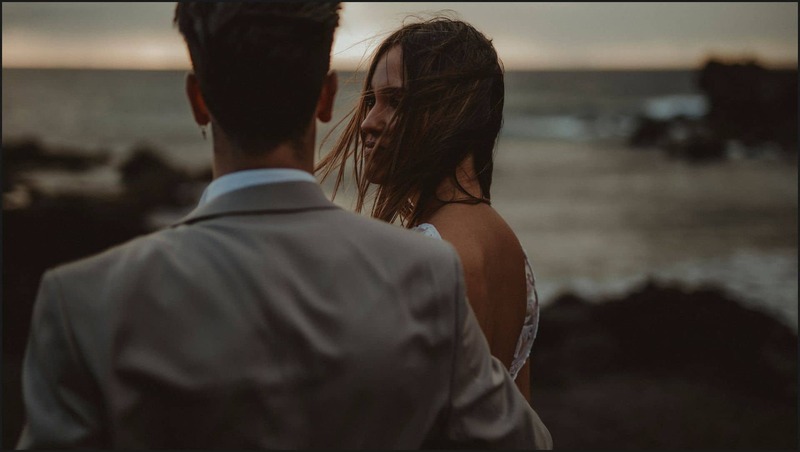 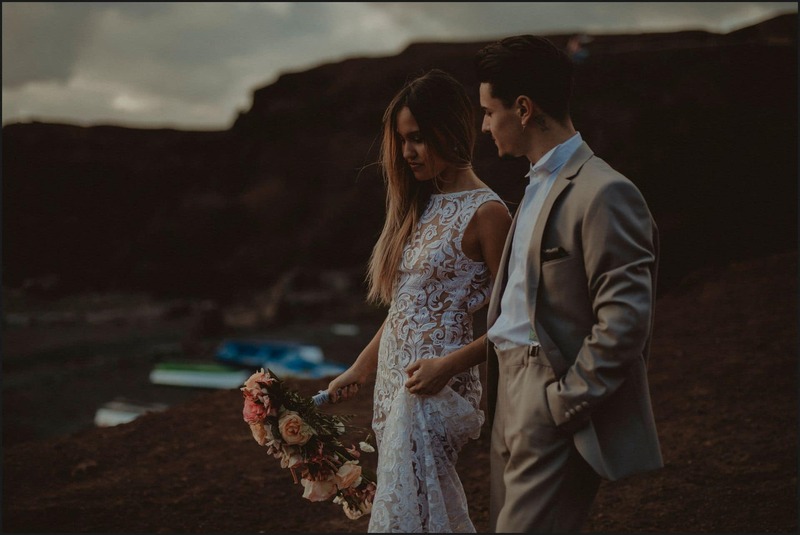 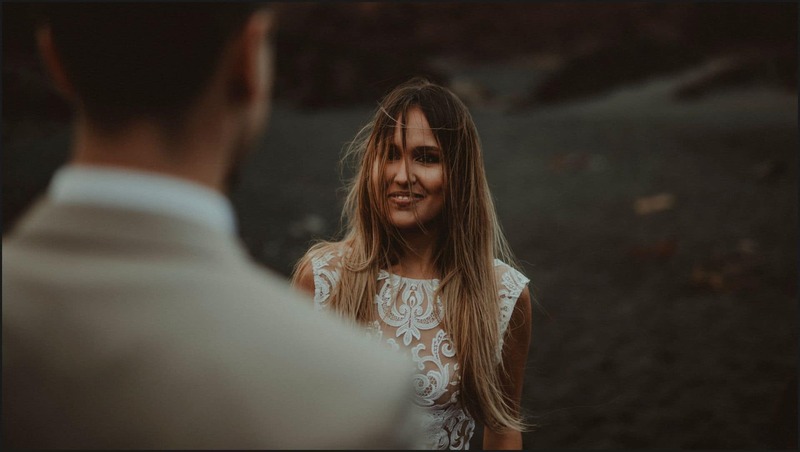 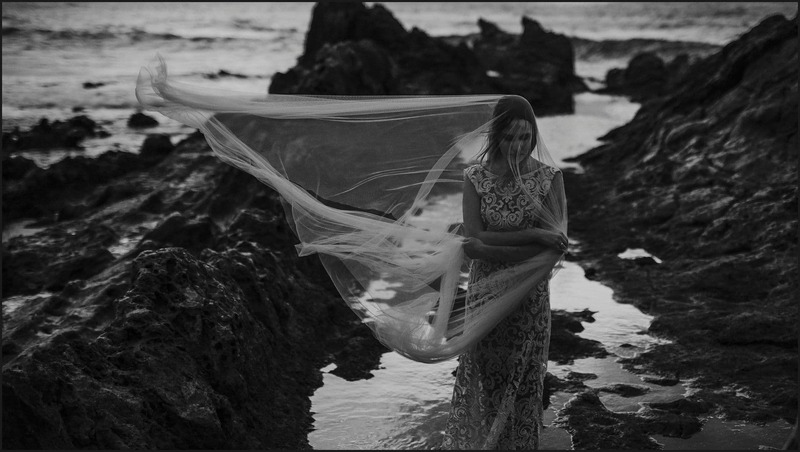 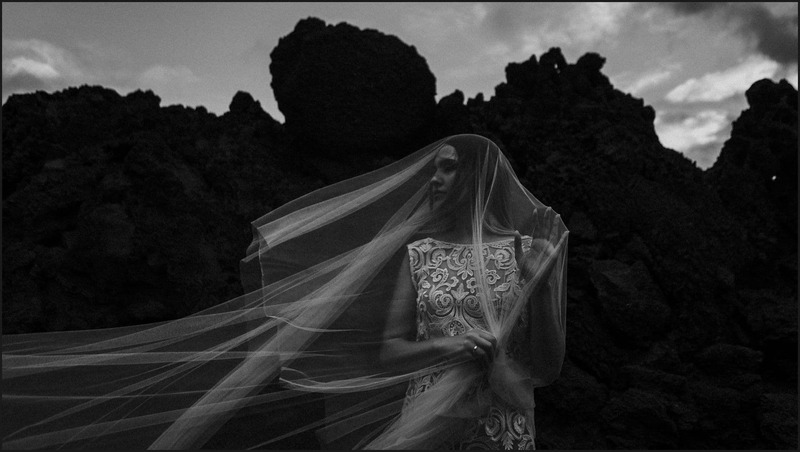 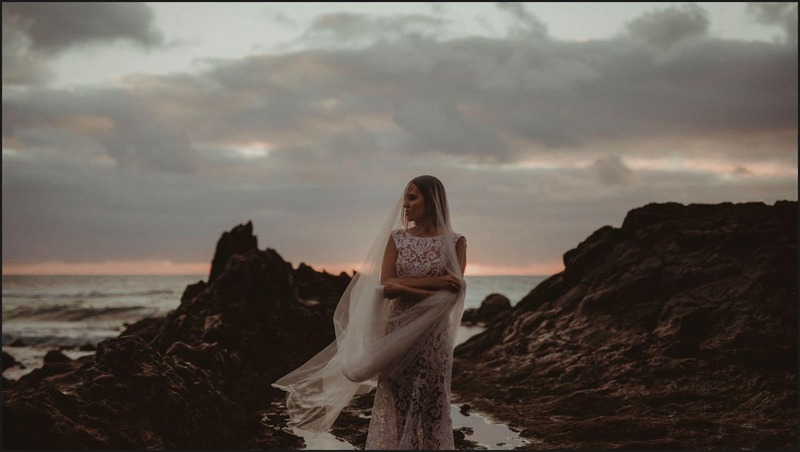 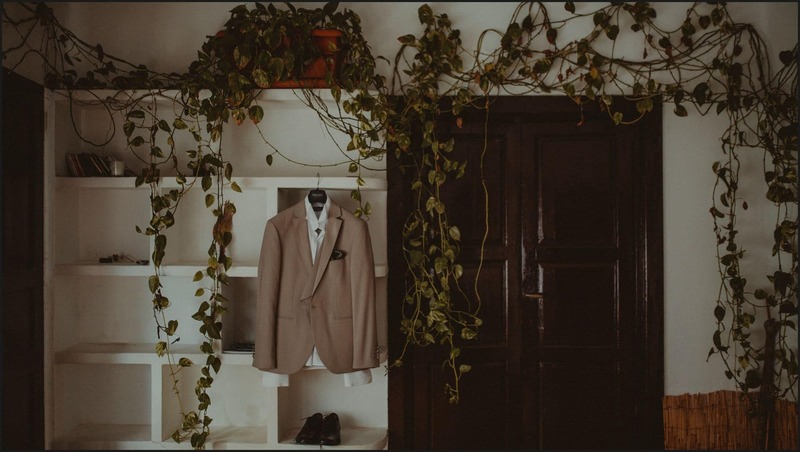 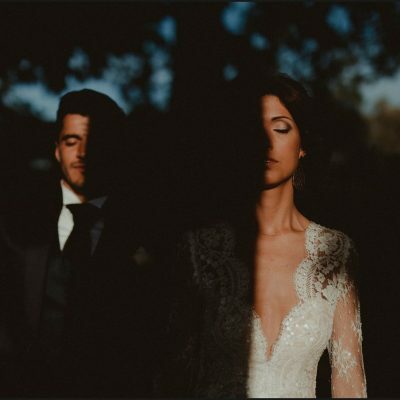 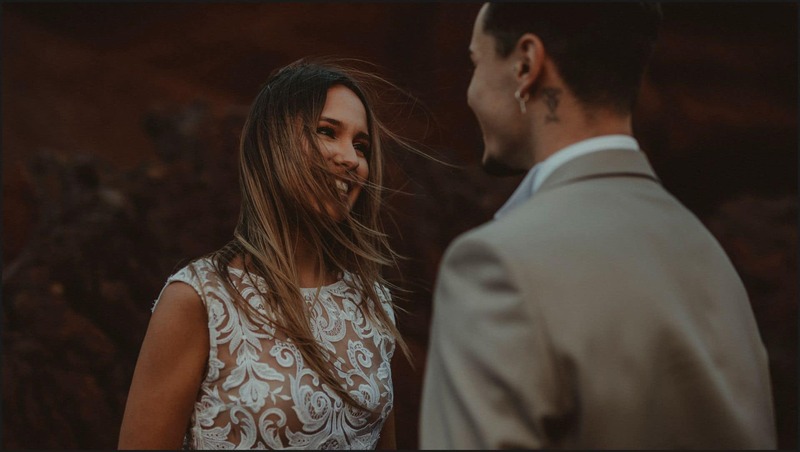 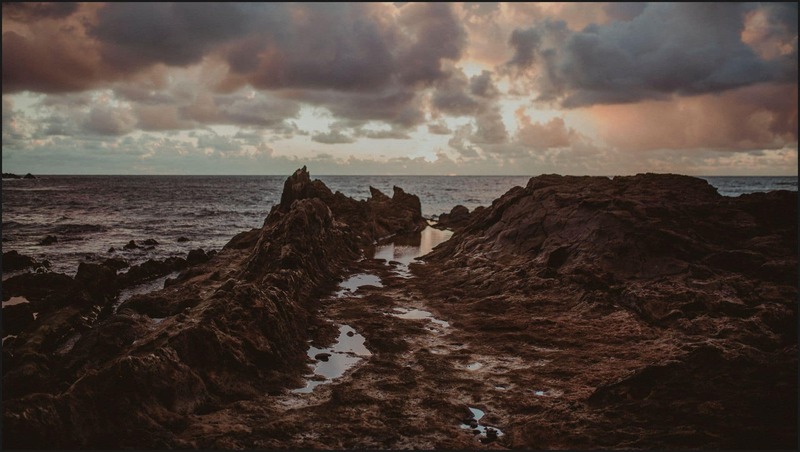 Now enjoy the pictures below and if you and your love dream to travel to a wild location for a unique elopement, let us know! 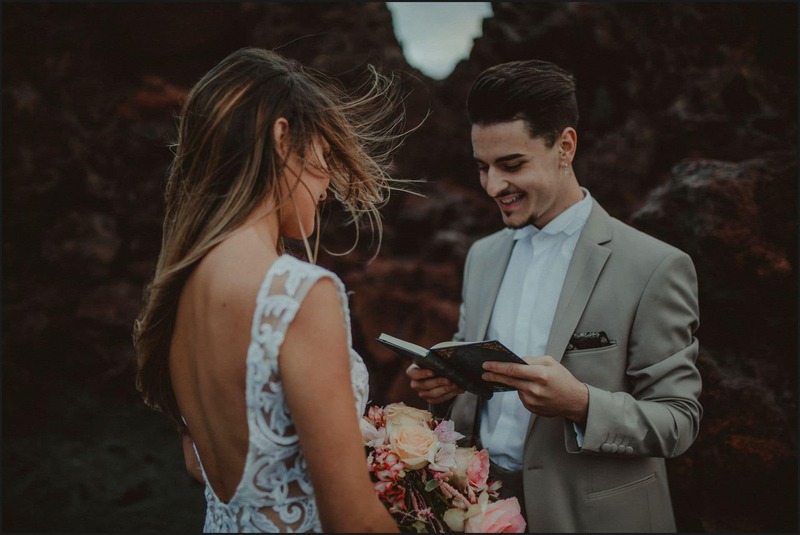 We’d be so happy to follow you in the adventure! 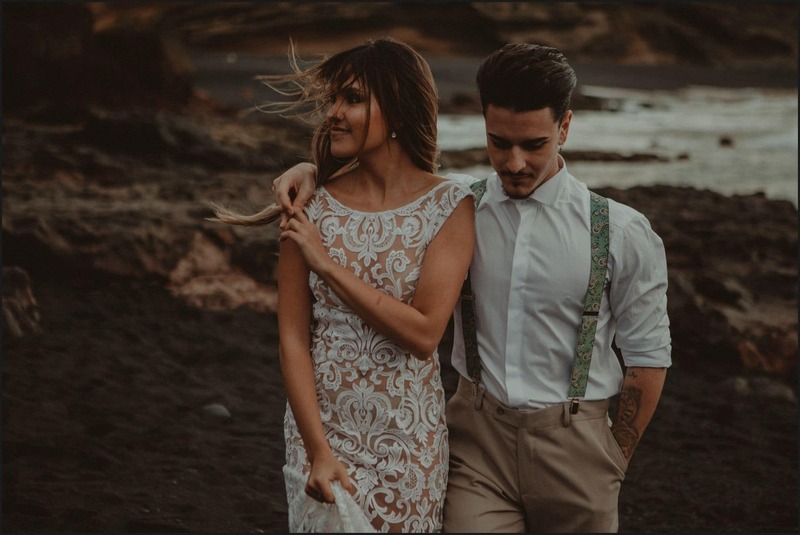 Servizio di Coppia. 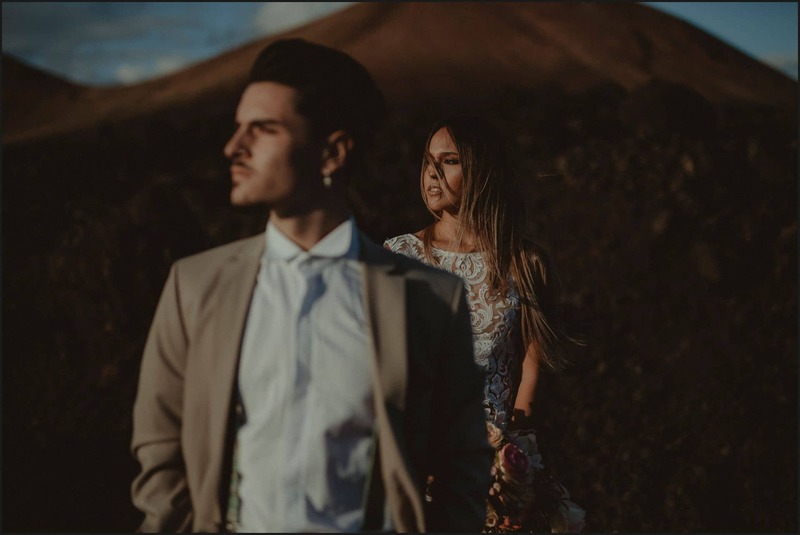 Cos’è? 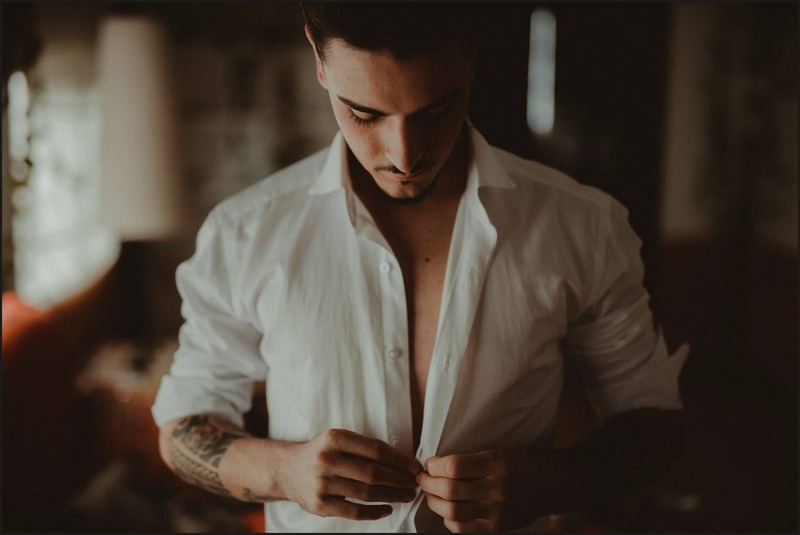 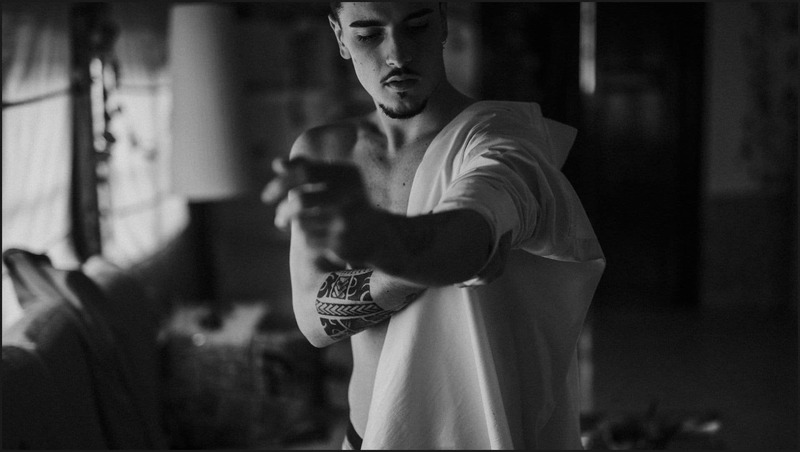 Perché farlo?